A Contrast Bag to Compliment your Brand. We all love a bit of contrast now and then don’t we. As Stevie Wonder and Paul McCartney once sang; “Ebony and Ivory. 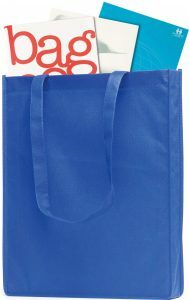 Live together in perfect harmony.” The Davington let’s your brand live in harmony with your promotional bag. 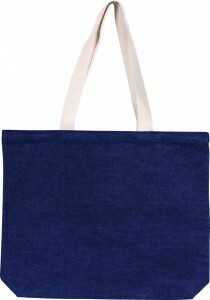 The natural Jute of this Eco bag has white highlight piping and handle details. Which provides a perfect frame for your logo. 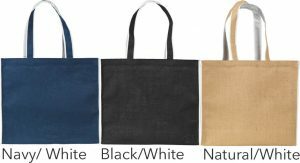 For something a little different choosing this Jute contrast promotional Tote Bag is a perfect fit. 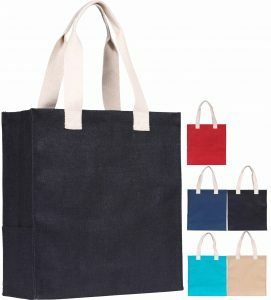 Size: 33 x 38 x 13cm. 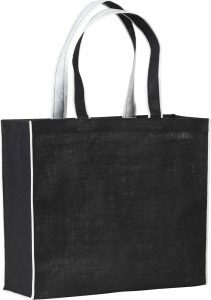 Material: 14 x 15 Natural Jute LDPE Backing. Printing Options – One Colour Screen Print. Set Up Charge - £30.